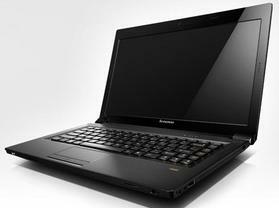 Lenovo Essential B570 is a new lowest priced laptop now available in Indian market. It made Intel Core i3 processor with 4GB RAM and 500 GB HDD. Lenovo Essential B570 has a 15.6 inch HD glossy display, Intel HD graphics, 0.3 MP webcamera, an optical drive, 6-in-1 card reader. This laptop also sipports Wi-Fi, Bluetooth, and Gigabit LAN. It also features USB, HDMI port, and power is provided by 6 cell battery. Guys you can buy Lenovo Essential B570 laptop Rs. 26,975/- from any telecommunication or suggested retailer.